Why Choose Our Columbia & Belleville Podiatry Offices? Podiatry 1st offers virtually painless laser pain therapy to our patients. Finding relief for your foot pain or ankle pain may seem like a daunting journey with no end in sight. With laser pain therapy at our Belleville podiatry office and our Columbia podiatry office, you’ll likely find immediate relief for your foot or ankle pain. Laser pain therapy is designed to provide quick relief and promote healing so that your pain does not persist after completing the treatment series. Consistent sessions of laser therapy will provide you relief from the pain in the short term and will heal the pain’s cause in the long term. This advanced laser therapy technology results in targeted pain relief so you can experience relief, ultimately allowing you to heal and enjoy life again. 4 out of 5 patients experience relief from their foot, heel or ankle pain after the first visit to Podiatry 1st. Our podiatry team understands you want relief from your pain so that you can return to doing everything you love in life. If you suffer from foot or ankle pain, we know you want to experience relief as soon as possible. If you are having foot pain, joint pain, diabetic foot pain, pain associated with neuropathy, ingrown toenails or other pain, schedule an appointment with our foot doctor Dr. Anderson, to get started on the road to recovery. Healing your foot pain or ankle pain now will save you countless visits to our Columbia or Belleville podiatry office in the future. If you live in or around Belleville, Columbia, Fairview Heights, O’Fallon, Shiloh, Swansea, Smithton, Okawville, Mascoutah, Freeburg, Trenton, Waterloo, Millstadt, Hecker, Red Bud, Ruma, Maeystown or Fults, IL, call 618.277.9533 today! While many podiatry offices will delay your appointments for days or weeks, that isn’t the case with Podiatry 1st. 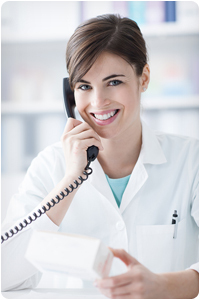 If you’re ready to make your first appointment, simply call us at 618.277.9533 to speak with a friendly team member. We often have same day appointments available so you don’t have to wait to be seen by either our Belleville foot specialist or our Columbia foot specialist. If we don’t have any appointments available the same day, we will do our best to schedule your appointment within 24 hours. We understand that you are tired of experiencing foot pain. Let us help you get back on your feet today! When you choose Podiatry 1st, you are choosing a podiatry office, that cares about your health, your well-being and your schedule. We understand that Monday through Friday “bank hours” simply don’t work for the average family and their busy schedules. To ensure that your series of appointments are not disrupting your day-to-day schedule, we offer flexible evening and early morning appointments in our Columbia and Belleville podiatry offices to meet your needs. At Podiatry 1st, we understand your time is valuable and we want to make sure that you are able to feasibly keep your appointments. 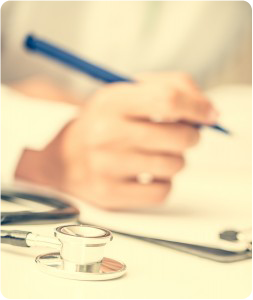 We strive to accommodate all of our patients’ needs, including accepting a wide-range of insurance providers. We work with your insurance provider directly to maximize your benefits. If you don’t have insurance or if necessary, we also offer flexible payment options for podiatry care. Your finances should never be the cause of not accepting the podiatry care you need for your foot or ankle pain. During your initial appointment, ask our podiatry team which options are available to you, how they can help you maximize your benefits and get your podiatry care started right away! We use a combination of the latest medical technology and comforting patient care to enhance your foot and ankle care. Additionally, Dr. Anderson works with you to create a treatment plan you are comfortable with. In most cases, there are multiple paths for podiatry care and treatment that will ultimately bring you relief. Dr. Anderson understands that you will want to avoid surgery and will do all he can to provide you non-invasive podiatry treatment. We specialize in complete podiatric care and our skilled podiatry team brings years of experience to your personalized care. Our efficient and personable podiatry team assures that each patient receives the personal attention he or she should expect from their healthcare provider. 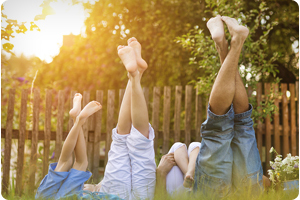 At Podiatry 1st, we’re focused on what’s most important – you! Our friendly, caring podiatry team will welcome you into our family-friendly podiatry offices in Belleville, IL and Columbia, IL, and make sure you’re completely comfortable. We want you to know that our podiatry team is dedicated to keeping your feet happy and healthy. Whether you’re coming in for a routine exam or your treatment plan, you’ll feel relaxed and at ease at Podiatry 1st. If you’re in pain, we want to make your visit as easy and convenient as possible. We’ll take time to answer all of your questions and address all concerns about your podiatry care and treatment. Dr. Anderson will walk you through every path of treatment to care for your foot or ankle challenge. 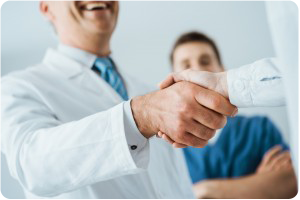 By the end of your first visit, you’ll know you made the right choice at Podiatry 1st. 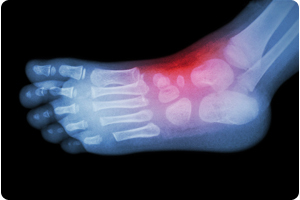 At Podiatry 1st, we offer the most up-to-date radiology technology through digital x-rays. Digital x-rays allow us to diagnose challenges you may be experiencing in the bones, joints, ligaments or tissue of your feet or ankles. These types of challenges may include heel spurs, hammertoes, sprained ankles and more. Our digital x-ray helps us to quickly and accurately diagnose your current foot condition with less radiation than your average x-ray machine because the images are immediately available to us on a computer screen. By having this diagnostic record immediately available, we can also start treatment much sooner than with photographic x-rays that require development. Schedule your first appointment at Podiatry 1st and start feeling relief of your foot, heel or ankle pain sooner! Our Columbia and Belleville foot doctors ensure that your specific foot or ankle pain is proficiently assessed and diagnosed prior to beginning podiatry care. Additionally, ultrasounds are utilized to ensure that the treatment is applied accurately and efficiently. 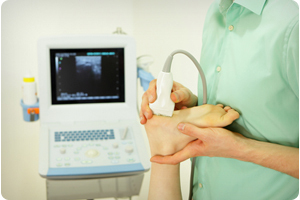 The advanced technology of the ultrasound will help you get diagnosed and treated quickly and efficiently — getting you comfortably back on your feet as soon as possible! If you’re looking for an accurate and efficient assessment of your current foot or ankle condition, schedule your initial appointment with Dr. Anderson by calling 618.277.9533. At Podiatry 1st, we offer our patients Non-Invasive Vascular Testing with the Sensilase PAD-IQ system. The SensiLase PAD-IQ system provides a comprehensive evaluation of microcirculatory perfusion in the skin. PAD-IQ measures skin perfusion using a laser sensor and a pressure cuff to evaluate reactive hyperemia. The vascular testing that we provide gives a better understanding of your condition and how to improve your circulation. To find out more about this advanced technology and to schedule an appointment, call 618.277.9533 today. Our Columbia and Belleville podiatry offices are both thrilled to announce that we can provide you with your custom-made orthotics on the same day as your appointment. 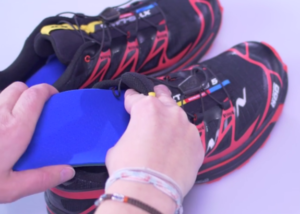 We are the first practice in the US to have the cutting-edge Podiatech Premium Station technology, which allows us to create a custom orthotic for you in only 30 to 45 minutes. This is one of the many ways that we strive to relieve your foot and ankle discomfort as quickly as possible.